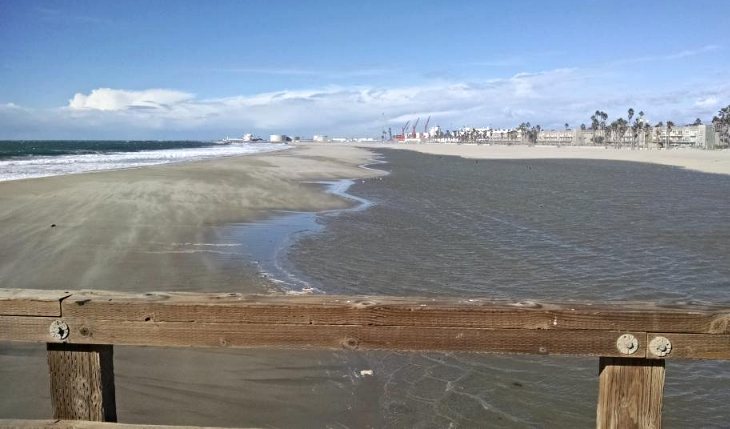 High winds, and high surf led to the closure of Hueneme Beach on Friday. Off the coast of Point Mugu the Naval Sea Range is home to a variety of training missions. From small “swarm boat” simulators to the the National Self-Defense Test Ship (SDTS), the Navy operates a variety of targets for combat training. 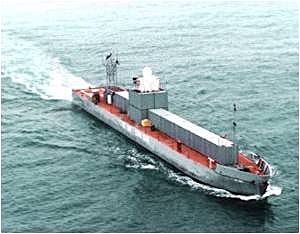 One of the most used vessels is the Mobile Ship Target (MST), a 230′ remotely piloted ship that can be configured to resemble a number of different targets. Unfortunately, according to Navy sources, the current MST has very nearly outlived its usefulness. Modern targeting and weapons systems require a surface target that is more representative of today’s enemy. The old MST is too small and too slow (8-10 kt) to realistically simulate the modern combat environment. The Navy specifies that a new Ship Target should be 450′-500′ in length and be capable of speeds of 20-30 knots. With more than twice the length of the existing MST, the new ship would require significantly more dock space in Hueneme Harbor. Should that prove unfeasible, operations would have to be based in San Diego rather than in Port Hueneme. The estimated cost for the new ship is $56.5 million. As of this time, there has been no funding designated for this purpose. With $200 million in construction money designated for the Ohio class submarine, it is unlikely that a new MST will be funded in the next four years. Only 13 more shopping days until Christmas. If you do your shopping at either Amazon or Ralph’s, every dollar you spend will allow you to donate (absolutely painlessly) to the Port Hueneme Friends. The same thing goes for Ralphs. 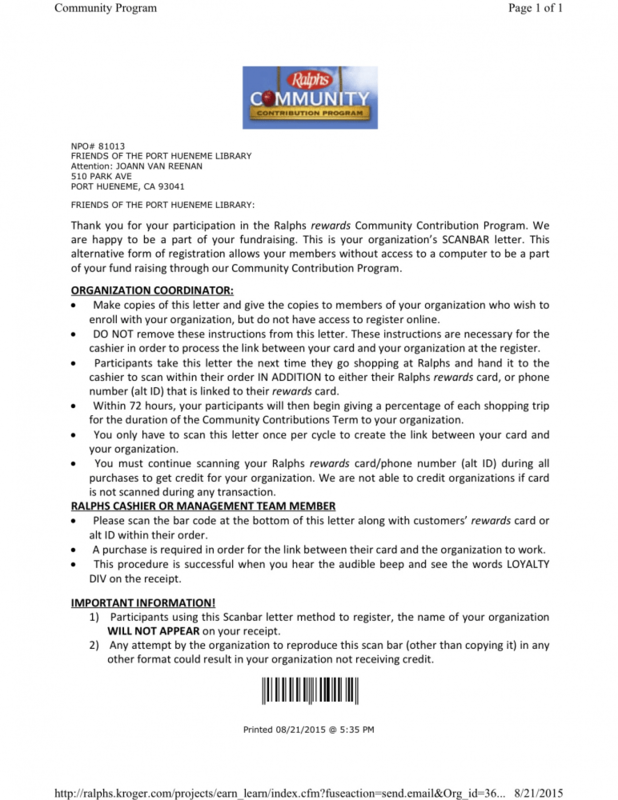 Just print out and bring in the attached letter or if you don’t open attachments, print out this email and present it to the cashier the next time you do your shopping. Ralphs will also donate a small percentage of your grocery bill to us for nearly an entire year. An exciting, national wellness initiative is launching across the country in February and theHueneme Chamber of Commerce is inviting everyone in Ventura County to join the MOVEment! NBC and The Biggest Loser are launching The Biggest Loser Community Challenge in February. Teams of four are invited to join this eight-week, online health & wellness community challenge. The challenge is for people of all fitness levels and is designed to get the community moving, eating better and having fun! Businesses are encouraged to register teams of employees to represent their company in the challenge. Friends and families are also invited to join in the challenge. For only $100 for a team of four, this exciting wellness offering is an affordable and fun way to kick start the new year for employees. Past contestants of The Biggest Loser will guide teams through eight weekly challenges. Challengers will also receive weekly motivation and nutrition tips from trainer, Dolvett Quince. Participants will earn points for each minute of activity they engage in, as well as additional points for completing weekly tasks and logging additional challenge activities designed to improve nutrition and overall wellness. Each participant will have access to their own private wellness account and mobile app, where they will journal challenge activities, access weekly health guidance and keep their eye on friends and competitors on live leaderboards. Prize draws will be made each week, with over 10,000 prizes to be won across the country! More information, online registration and key dates can be found online atwww.biggestlosercommunity.com. Healthy People. Healthy Companies. Healthy Communities! PH Museum Now on Facebook! 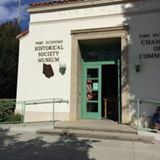 The Port Hueneme Historical Society Museum is now available to “like”. Let’s face it, we’re all busy people. We’d love to learn more about our hometown but who has the time? This column will feature highlights that can be read in a minute or two. And rest assured, the information comes from the considerable resources of the Port Hueneme Historical Society. If your interest is piqued to learn more, visit the museum on Main Street or send your questions via email toKelley@callutheran.edu. Achille Levy came to the attention of Thomas Bard—the man who would construct Hueneme Wharf and owned most of the land that would become Port Hueneme—for a couple of reasons. Bard admired Levy for his integrity and his astute business know-how. After Levy’s stint as a co-owner of Wolff and Levy, an amazingly successful general mercantile concern, Levy would become a hybrid unusual even for the late-19th Century. 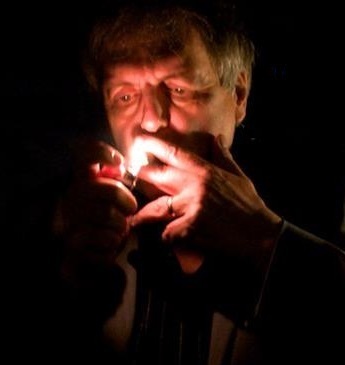 He was not only a commercial broker but also a private banker. The mechanic of Levy’s broker-banker business was simple. A farmer would sell his crop to Levy, but chose not to collect the full sale price. The farmer entrusted the remainder of the money with Levy and was given a checkbook to purchase merchandise, seed, farm animals and agricultural equipment from either Levy or another merchant (with Levy as the payer). If and when the weather failed the farmer, he could depend on Levy for credit until another wet year came around. Unlike other bankers nationwide, who delighted in foreclosing on farms that had been around for generations, in Hueneme, the farmer and the banker gambled on each other. The California Department of Insurance has consumer information available at its websitewww.insurance.ca.gov. Flood insurance is only available through the National Flood Insurance Program and there is a 30 day waitng period before the policy is effective. Californians living in areas with a risk of flooding should purchase flood insurance through the NRIP immediately. Learn moere athttps://www.floodsmart.gov/floodsmart/. The State Legislature has established an insurer of last resort for Californians unable to find standard fire insurance for their homes. Information about the California FAIR Plan can be found at https://www.cfpnet.com/. 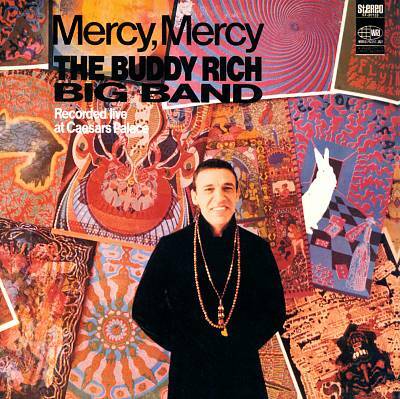 Listening to the incredible Buddy Rich Big Band LP Mercy Mercy I picked up when the annoying lady in the Santa hat wasn’t looking, and that Don Menza solo was so freaking good I had to listen to it again. And dig that little flurry by Art Pepper. Had to listen to that twice, too. (Lifting up the tone arm and dropping it again, guessing, almost got it right. CD’s are easier.) Buddy is soloing now, going nuts, and it’s 1968, and it’s no “Toad”. Also got this great collection of sides by aggregations led (supposedly led) by Jack Teagarden andMax Kaminsky, Big T and the Mighty Max. One of the those Commodore reissue things from the ’70’s, with cheap creepy artwork. Aesthetics got very strange in the seventies. No one buys these things, not even for a buck–no one buys anything pre-be bop–and whenever grandpa dies and his beloved record collection gets dumped at the thrift store record bins, his beautifully maintained albums sit there unloved amid the beat up Mantovani and disco and Barbara Streisand. But I’m a sucker for the things. Kaminsky is better known to The Swinging Years listeners and he’s blowing hot on this LP. Great bands, in the Eddie Condon style, in fact Eddie is on some of the cuts, sounding old style slick on guitar, and you can imagine the drinking and carrying on. This is mostly World War Two era stuff, and the endless liner notes on the back cover by some expert or other point out how these barrelhouse jazz bands (I love that term, “barrelhouse jazz”) were stock full of refugees from swing bands who either couldn’t hack the road schedules or just wanted to blow instead of reading charts all night but couldn’t or just wouldn’t adapt to be bop. It’s a forgotten time, in between big band swing and small group bop, but the jazz on here swings like a twelve letter word. I flip it over a couple times and let the stuff rock as I prep the house to be trashed all over again. That Kaminsky, he’s on fire here, this must have been his moment. And Teagarden, well I can never get enough of him. Oh yeah, there was the torrid dirty clarinet solo instantly recognizable as Pee Wee Russell. One of the sad little greats, Pee Wee. If I remember right he even did a set with Monk–playing Monk’s music–at Newport. Can’t remember if I saw film of that or have it here in the piles of CDs somewhere, but it was a trip, Pee Wee playing his tail off and thinking in ways guys his jazz age never thought. We laugh, but how many of us can do that? We sit surrounded by the past like it’s the present and complain about the new. Anyway, I picked this up with a random selection of cool LPs at the Out of the Closet in Atwater Village while looking for a coffee table. Nada on the table but the LPs are fun. Considering I sold off so much of my collection to pay for epilepsy medicine before coverage kicked in, I actually have room for new LPs again. If only I had sold off more books. I keep buying them and they’re stacked up here on the floor, all these big thick wordy non-fiction tomes, mocking me. The absurdities of bohemian life. But is it money well spent? An Upgrade for the Blue Angels? F/A-18 Super Hornets may replace aging legacy aircraft. Donatas Pauzuolis successfully defends his title in Dubai. The Southern California Association of Governments Regional Council approved release of the 2016-2040 Regional Transportation Plan/Sustainable Communities Strategy (2016 RTP/SCS) for public review and comment. 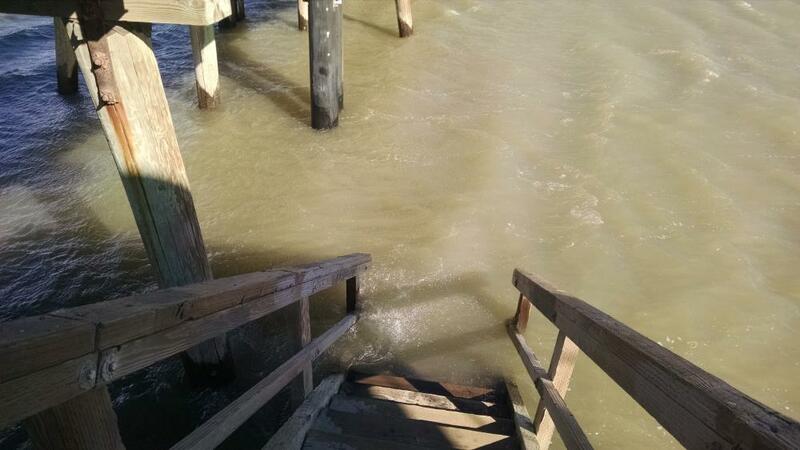 The Plan’s Draft Program Environmental Impact Report (PEIR) was also approved for release. The decisions came after nearly a year of discussions on critical issues and various components of the Plan at meetings of the board and SCAG’s three policy committees. Both the Draft 2016 RTP/SCS and PEIR will now enter into a 60-day public review and comment period, beginning Dec. 4, 2015, and ending Feb. 1, 2016, at 5:00 p.m. The Draft 2016 RTP/SCS and its appendices are now available for download as PDFs online. The Draft PEIR and its appendices are also available for download. Tuesday, January 12, 7:00 p.m.
Tuesday, January 19, 10:00 a.m.
Saturday, January 23, 10:00 a.m.
SCAG currently has scheduled public hearings on Jan. 12, at 7:00 p.m.; Jan. 19, at 10:00 a.m.; and Jan. 23, at 10:00 a.m. They will be held concurrently at all SCAG regional offices (at present time, Orange County office is TBD for Jan. 23). We will also hold a series of elected official briefings on the key components of the Draft 2016 RTP/SCS throughout the region, per SB 375 requirements. A PDF flyer listing all public hearings and elected official briefings is available for download here. We anticipate additional public hearing opportunities. Please visit the 2016RTP/SCS website for updates. Copyright 2015 The Hueneme Pilot All rights reserved. More Elaborate, But Not As Nice as Port Hueneme! Santa, Food Trucks, and Fun for All Ages! The Hueneme Chamber of Commerce and the City of Port Hueneme will be hosting the 3rd Annual Holly-Day Tree Lighting at Port Hueneme City Hall, 250 N. Ventura Road, on Thursday December 3rd. 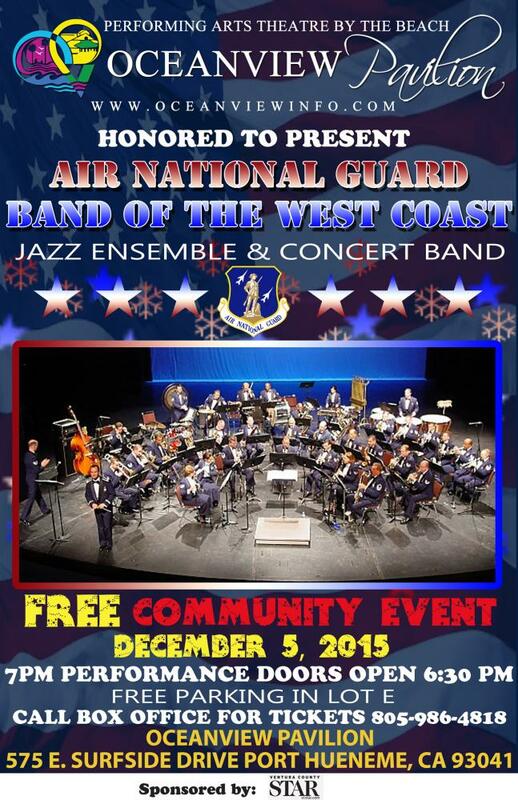 This free community event will start at 5:30 PM with holiday music and proceed with the tree lighting at 6:00 PM. Attendees are welcome to bring chairs for open lawn seating beginning at 5:00 PM. There will be children’s activities provided by the Port Hueneme Police Officers’ Association and food trucks will be on hand as well. Santa himself will be there to participate in the festivities, take pictures with the kids and kick-off his annual neighborhood tours of Port Hueneme. Santa’s tours will run from Monday, December 7th through Friday, December 11th. (schedule available on the City’s website: www.cityofporthueneme.org). Sponsored by Ventura County Credit Union, this year’s event will once again offer FREE photos with Santa Claus compliments of Bonnie Mercadante of Softouch Photography. Santa and Mrs. Claus, graciously portrayed by local retired Navy Master Chief Chris Bissonette and his wife Christine, will be arriving on the City float shortly after the festivities begin. The Port Hueneme Police Officers’ Association will be sponsoring a Kids Activates area with face painting, craft ornaments and a petting zoo. Food trucks will be on hand including Sweet Arleen’s, Connie’s Hotdogs, The Blue Light Truck and the Perk-u-Later – all local favorites. The Hueneme Starz Dance group will be performing a holiday routine as well. The tree lighting event also launches the annual Project FoodShare canned food drive and this year we are honored to partner with the Castro Family Toy Drive benefiting the Children’s Center for Cancer and Blood Diseases at Ventura County Medical Center. The community can support these efforts by bringing canned goods and unwrapped toys to help those in need this holiday season. Collection boxes will be available at City Hall through December 18th. Come share a warm and memorable community experience with your friends and neighbors in The Friendly City by the Sea! For more information, please contact the Chamber of Commerce at 488-2023. Representing the “fastest growing university in the United States”, Richard Rush, the President of California State Universtiy, Channel Islands, addressed a recent meeting of the Regional Defense Partnership for the 21st Century (RDP-21). Because “the state didn’t want to commit” to funding a new campus, CSUCI has had to function as a Public Private Partnership, relying on support from the community as well as local industry. For example, when Cottage Hospital recognized a need for a nursing program in Santa Barbara, it contributed $6 million to establish a program there. In Ventura County, the local hospitals and the county contributed $250,000 a piece to support a nursing program here. Currently there are about 1000 students enrolled in nursing track classes. Of those, only 300 will pre-qualify, and only 34 per year will make it through the program. President Rush emphasized the CSUCI commitment to military and veteran’s education. ‘”We’ll be your partners. Let us know what you need,” he said. Capping off the presentation was a ceremony marking a co-operative agreement between CSUCI and the Naval Facilities Engineering and Expeditionary Warfare Center which will allow students to experience the actual “in the field” results of their theoretical studies. On November 28, President Obama Signed into law the National Defense Authorization Act. Among it’s provisions was the establishment of the Southern Sea Otter Military Readiness Area allowing the Navy to continue weapons testing in the Pacific Test Range near San Nicolas Island while also providing protection for the otters. The Regional Defense Partnership for the 21st Century (RDP-21) had been advocating for such protections since 2012. When is a fundraiser not a fundraiser? A fundraiser is not a fundraiser—when charity begins at home. It all started during the economic downturn in 2008, when frustrated parents told us they could not afford to buy the cherished classics they found under the tree when they were kids. That’s when we rolled up our sleeves and got to work. Our Prueter Library “bookies” (volunteers who sort, clean and price used books) started to set aside a selection of gently-used donations that would provide an affordable alternative (under $1) to cash-strapped parents and grandparents. 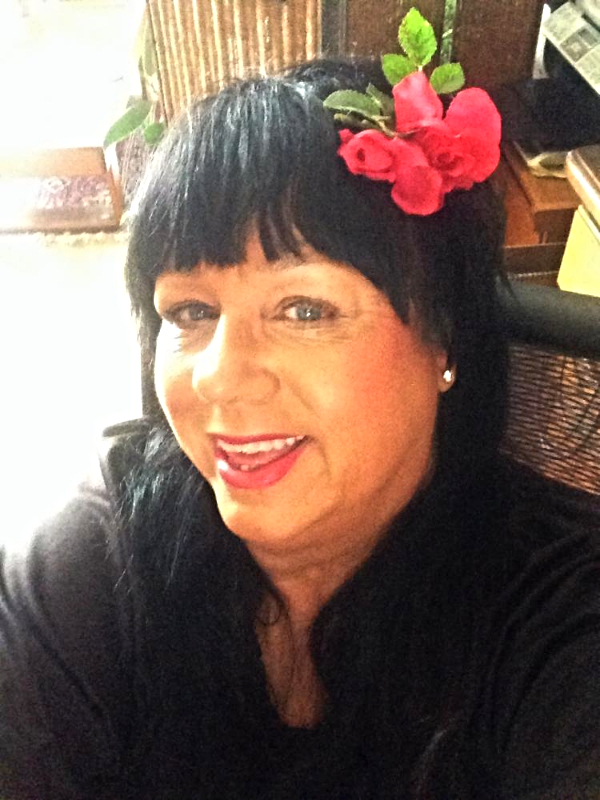 And since it is better to give than to receive, the Port Hueneme Friends of the Library also scoured their jewelry boxes, closets, toy chests, DVD collections and garages in search of nearly-new yet gift-quality treasures that youngsters might buy for less than a quarter or two. Those of us staffing the sale tables look forward to assisting the young people who show up with a long list of people to buy for and a fistful of quarters. We not only assure them that their allowance will cover their purchases but also provide bags so that Mommy and Daddy (who are still busy shopping) will be suitably surprised come December 25. In addition, the naming of the “white elephant in the room” has become an unexpected tradition as well. Each year we find an item that we, collectively, are quite positive will never find a buyer—at least not somebody in his or her right mind. The most memorable, by far, was a toilet plunger decorated in appropriate greenery for St. Patrick’s Day. Sure enough, an adult and her two offspring snapped it up—allowing that it would be ideal for an unsuspecting Irish relative. So whether you’re focused on the wearin’ or the savin’ of the green this holiday season, the Port Hueneme Library is the place to be on Saturday December 5 from noon to three. The event is only open for three short hours so come early for the best bargains. And bring a fistful of quarters. It all started twelve years ago when Dr. Kamran Sahabi’s father (who is not a dentist) suggested that his son offer a free dental day at each of his various clinics. Sahabi, you see, was concerned that people—even those who may be in serious pain—got into the habit of neglecting their teeth either because they were afraid of dentists or because they lacked dental insurance. If they get the chance to receive badly needed extractions, root canals, deep cleanings, or fillings without suffering pain or worry about how they are going to pay, Sahabi believed, they would start taking good care of their teeth. Dr. Sahabi’s California Dental Group operates in Glendale, North Hollywood, Tustin, Whittier, Eagle Rock, Upland, and (as of three years ago) Port Hueneme. Kamran Sahabi, who commutes from Glendale, discovered the Friendly City by the Sea while on vacation. Since he didn’t have an office in Ventura County, he decided to set up a practice in a vacant dental office in Beachport Center. This year was the third time Dr. Sahabi offered Port Hueneme (as well as anybody else in Ventura County) the opportunity to receive emergency dental services, gratis. One hundred and fifty patients, many from Port Hueneme, showed up on November 23, 2015 after finding out about Dr. Sahabi’s generosity from radio and TV ads, fliers, company newsletters, church announcements and word-of-mouth. Dr. Sahabi’s plan must be working because in years past upwards to five hundred individuals could be found lined up outside his Port Hueneme office door. Of course, not all of Sahabi’s clients were treated during the 9:00 AM to 3:00 PM time period. All those who could not be accommodated by the compassionate dentist and his three assistants were given gift cards and future appointments. Thayer Hussein, a California Dental Group associate dentist who lives in Anaheim, estimates that Dr. Sahabi provided treatments worth hundreds of thousands of dollars on the Monday before Thanksgiving. With all the negativity in the news these days, it’s a privilege to report on big-hearted individuals—folks who don’t even make their homes in Port Hueneme—but who are to make a difference in our seaside community. I’ve noticed that among the Left, those who were raised poor don’t have much faith in Bernie Sanders. Those who were raised in comfort love the guy. But Bernie’s an idealist, and people who have never been poor put big stock in ideals. People who know what it’s like to have been poor for years put their faith in results. Big ideals are great when you have money in the bank, a luxury, like poetry or accessories or trips to Europe. Which is why Bernie people can’t understand why the poor, minority and working class voters are not flocking to his cause. It’s obvious, they keep insisting, that Bernie’s ideas are in their best interest. And in an ideal political world, a world with no Republicans, or at least not many of them, Bernie’s idealism would probably work, or some of it, anyway. And he’s definitely an idealist. A true believer. You keep seeing the memes that Bernie has never veered from his ideals in his entire political career. That he’s the only Democrat who’s been true to his ideals. Which is probably true, though at quite a cost. You see, Bernie Sanders has gotten virtually nothing done in Congress. His ideas were too far to the left to ever be passed, yet he was adamant that compromising on them even an ideological iota would be wrong. And since he’s been running for president, he has never realistically explained, nor have his followers, how he will actually get a damn thing he proposes done. Unless, of course, you take his promises to reach out to Republicans seriously, as if the party of Trump, Carson and Ted Cruz is ready to reach out to someone calling himself a democratic socialist. If you keep pressing those feeling the Bern about Bernie’s splendid record of getting virtually nothing done in Congress by refusing to compromise on his ideals, they get angry. It’s not about winning, they say, it’s about being right. They’ll accuse you of missing the point. But they’re the ones missing the point. Because if it’s not about winning then it’s about losing. Bernie’s idealists have good jobs, or the prospect of good jobs. They have money in the bank, or relatives with money in the bank, or property somewhere. They have the college degree that Daddy bought them that means they’ll never work at McDonalds or take the kids to the free clinic. When your big fear is paying off your college debt it means you have no idea what it means when your big fear is not being able to buy medicine for the kids. The poor, it seems, are those too dumb to know that they should vote for Bernie Sanders. The people dumb enough to live in trailer parks, or work at Wal-Mart, or have four kids, or shop on Black Friday, or go to confession. The people too dumb to go to college, or to an art museum, or a Bernie Sanders rally. People that are too stupid to know what’s good for them. Or know why all those nice white people with their nice white teeth at those Bernie Sanders rallies are the conscience of the nation. DOD and USDA help preserve open space near base. Pro-Russian side hiring mercenaries to fight against Ukraine.